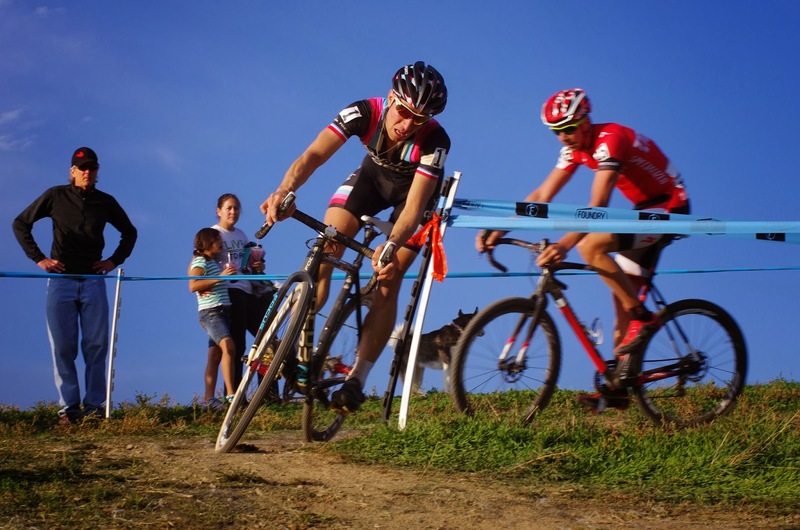 This race day included an UCI sanctioned race at the end of a long full day of racing. 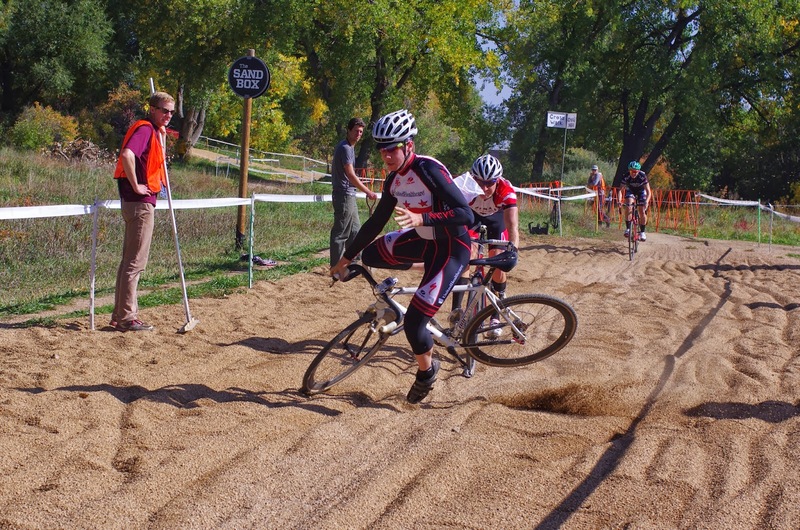 A day which also had a huge turnout for most of the amateur categories. 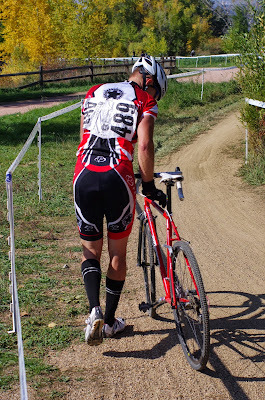 As is typical of early-season cross races in Colorado, the weather was perfect (last night we had our first snow in Denver). 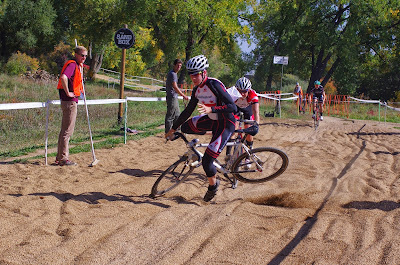 My complete album of photos can be viewed here: Pedal Dancer Images - Boulder Cup, Sunday (or in slideshow). See other photos from fellow photographers at 303Cycling here. 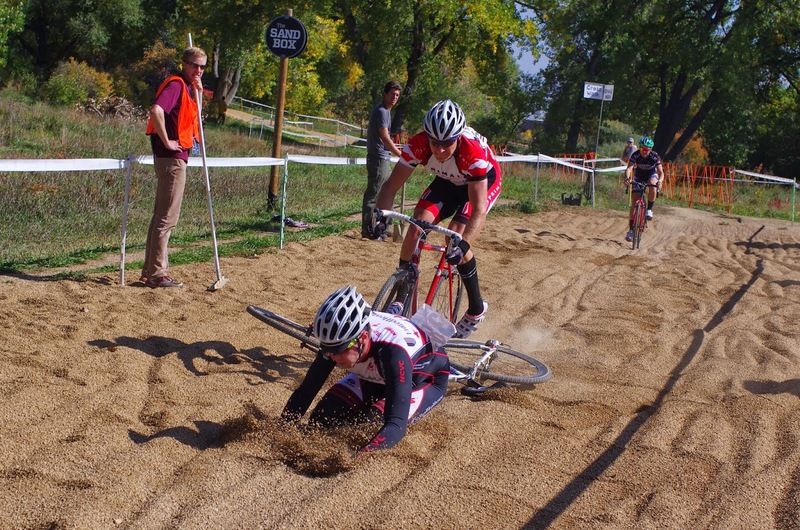 See the Boulder Cup Race Results here. 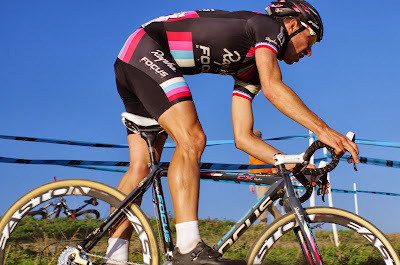 Oh and Jeremy Powers (Rapha-Focus) won the Mens UCI Elite race on Sunday. 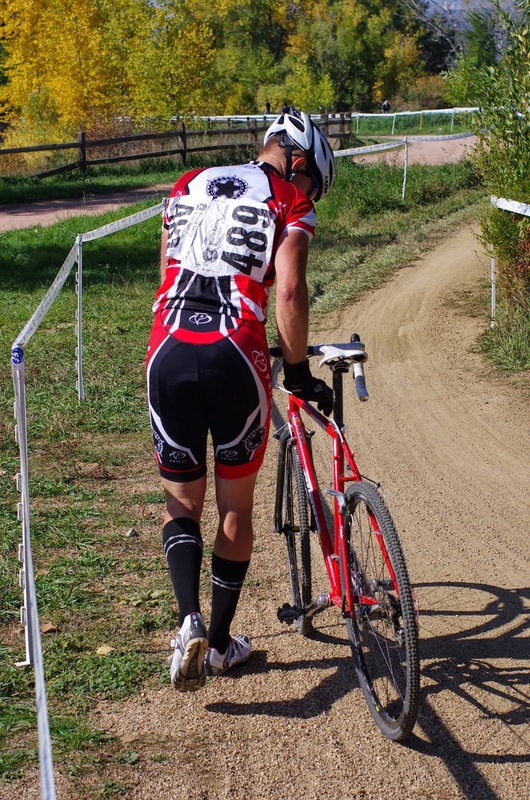 And here is a nice one of VeloNews Tech reporter Leonard Zinn riding his Zinn bicycle. 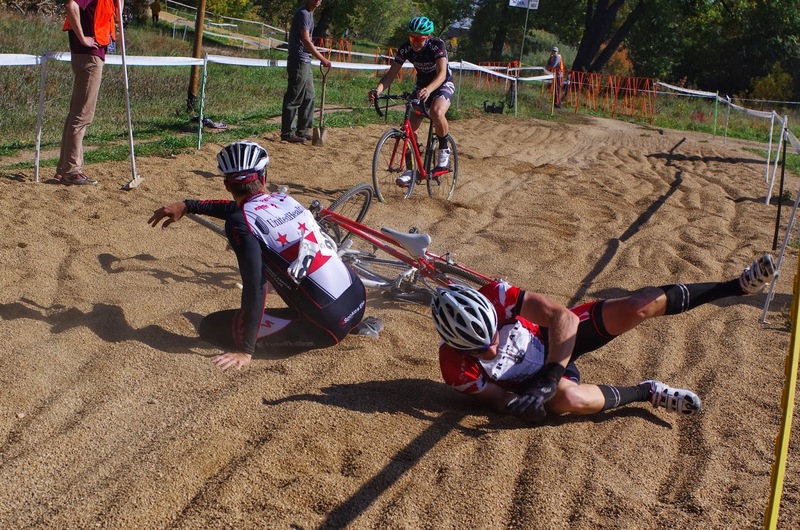 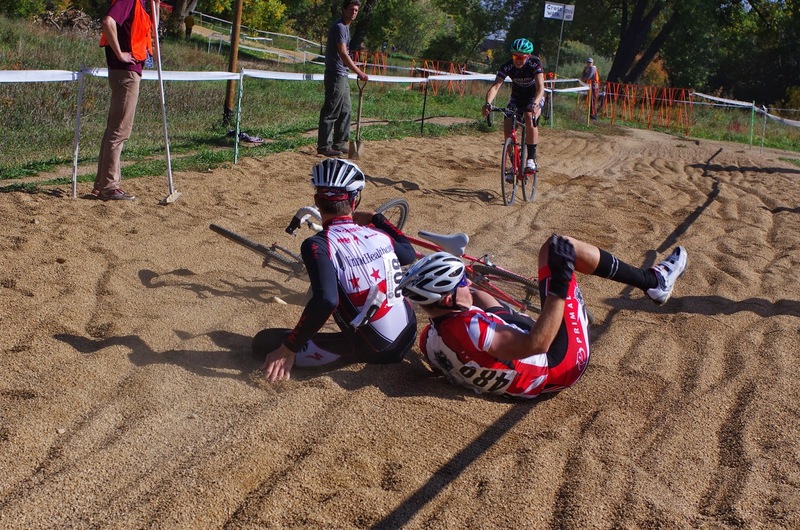 Leonard is a regular at the local CX races. 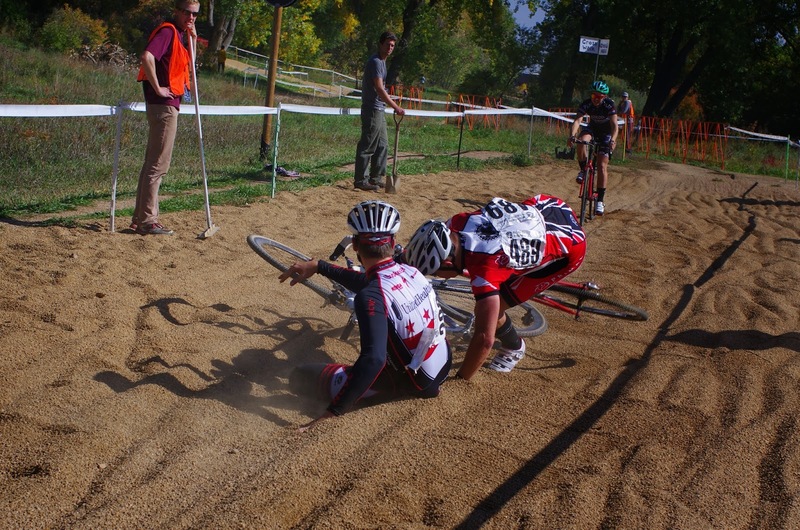 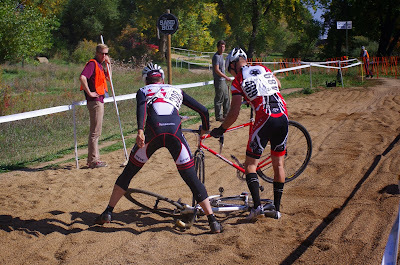 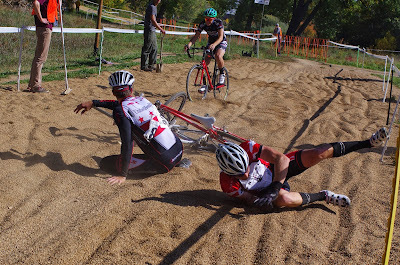 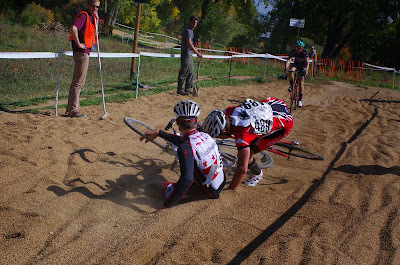 And because I am a big big fan of Cosmo of Cyclocosm, for Behind the Barriers: How The Race Was Won: Boulder Cup.